Calcium, Collagen hydrolysate, Vitamin D3 Dietary Supplement. 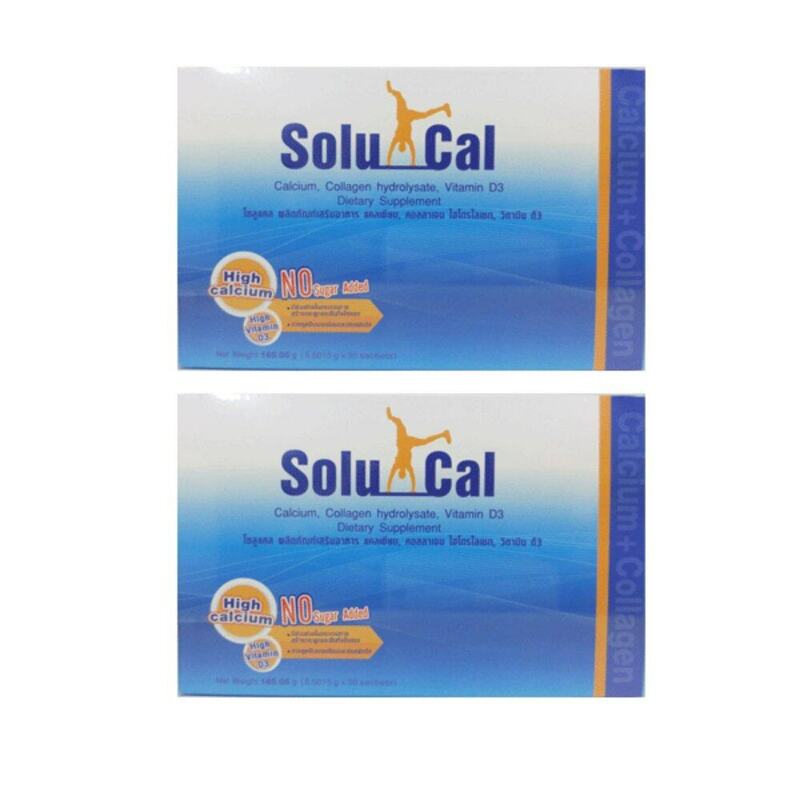 Calcium contain per one sachet of Solucal is 704.8 mg.
Dissolve 1 sachet into 1 glass of water (150 ml.) Stir well, wait until solution is clear and drink once daily after meal.